aware of active in the county during September 2017.
further information about these and all the other cider producers in our county. producers that aren't currently listed on this page, please contact Kate Halton, branch website coordinator, and she will add them to our list. Everybody knows that cider is made from apples, but perry causes some difficulty and put very simply it is just made from pears. The confusion was partly caused by the manufacturers inventing the term pear cider which given the above is incongruous and even oxymoronic. Either it is made from apples and is cider, or it is made from pears and is perry, but clearly it cannot be both. When you see the term pear cider it will invariably be perry. 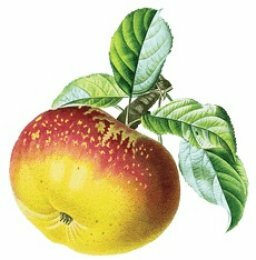 Real/proper cider or Perry will have four characteristics. In recent years there has been a massive growth in the so called ‘fruit ciders’, but the overwhelming majority are not real. Usually, they will have some form of added, heavily sweetened, industrial gloop and have never seen an apricot or a strawberry or a piece of rhubarb in their life. Whatever they are they are not cider and extend into rhubarb and custard and other nonsense exotic flavourings and, given their sweetness, should really carry a diabetes health warning. Note that they are all at 4% as if they were any stronger they would be taxed as wine at a higher rate. They are very popular amongst the younger generation as being so sweet they are easy to drink and are really alcopops. However, there are a few cider makers who use real fruit producing a more subtle flavour without the over-burdening blast of concentrated sweetness. There is also a growing problem with pasteurisation, which is difficult to prove without some scientific measurement of the yeast count. However, they often fail to have any depth and variety in their taste compared with ciders that are allowed to carry on fermenting. Clearly, the more the fermentation then the greater the enhancement of flavour and often giving the cider a very mild fizzy like taste which is very different from any added carbon dioxide. When you see the cider boxes which have almost become circular you can be certain that fermentation is still active thereby distorting the box. Cider is traditionally produced and sold as dry, medium or sweet and often saccharine is used to sweeten down the drier cider. However, the nefarious world of marketing has now arrived with ciders being branded and the distinction blurred between dry, medium and sweet. It is no longer a simple world with cider and perry and the market has become considerably more complex. To add to this complexity, some cider makers bottle their cider, but this is generally pasteurised and artificially carbonated and therefore non real. Overall, I hope that these brief words might be able to offer some clarity within the rapidly changing world of cider and perry. Ashridge Cider made their name producing Sparkling Ciders – Vintage and Devon Blush – using the traditional champagne method. They call it ‘Devon’s appley answer to champagne!’ It’s a high quality sparkling cider using the traditional method, or ‘méthod champenoise’. They also now produce some bottled organic vintage ciders – fruity and aromatic with great depth of flavour – made from 100% apple juice, using up to fifteen different varieties of bittersweet and bittersharp cider apples – from old organic orchards in Devon. They've won lots of Gold awards for this one. Their draught ciders, usually in Bag in Box, are very popular. A medium dry, delicious, crisp, clean still cider. And Devon Blush, Medium Sweet with added blackberry. And new last winter – Mulled Cider, to keep you warm and happy. 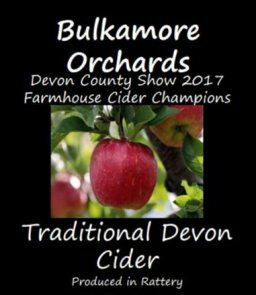 Their cider is a traditional still cider made from old Devon & West Country apple varieties containing 100% apple juice with no added water or sugar. The apples in their cider are sourced from their own orchards which they planted themselves and which contain over 40 different varieties and from a few select old local orchards. The orchard has a wide range of traditional quality cider apple varieties, such as Somerset Redstreak,Tremletts Bitter, Black Dabinett, Browns, Foxwhelp, Yarlington Mill, Fair Maid of Devon, Sweet Coppin, Harry Masters Jersey, Captain Broad,Blue Sweet, Seven Bank, Sweet Alford, Golden Bittersweet & Dunkerton Late Sweet among others. 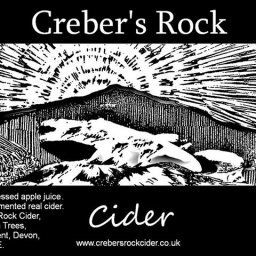 At Creber’s Rock they use juice from apples grown in their own orchards, and other orchards in the South West of England, all fermented by wild yeasts. Headless Dry Table Cider – Still cider with distinct but not heavy smoky tannic notes. 2013 vintage Brut Sparkling Cider – a Brut naturally sparkling cider with some residual sweetness. Farmer Jim is a third generation cider maker. 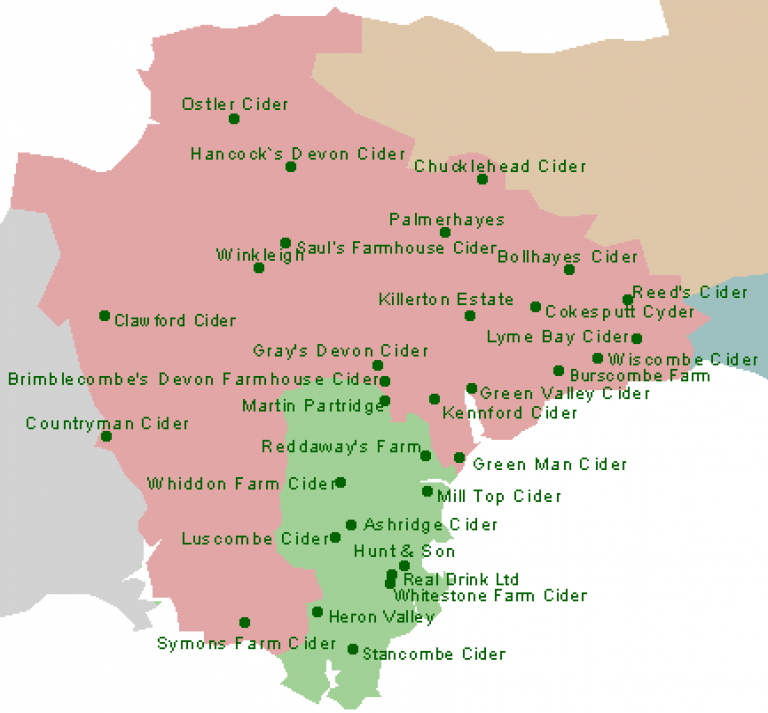 Using apples from their farms and from neighbouring farms to make traditional Devon cider. Medium – 5% - Their most popular. It’s crisp flavour is balanced with a subtle sweetness. Currently can be bought direct, by appointment only. Heron Valley has been making award winning juices and cider for generations on their organic family farm in Devon. Their Sparkling, Dry and Medium sulphite free ciders are made using Devon Cider apples from their own and small local orchards within 15 miles of Heron Valley. The juice is fermented using the naturally occurring wild yeasts on the skins of the apples, before being aged in oak barrels. Hunts have been making Cider in the South West since 1805 and still use the 18 acres of orchards in Yalberton which have been there for more than 200 years. They are the 8th generation to hand craft a range of still, sparkling and fruit ciders. Output is steadily increasing and although they tend to use their own fruit, they will also purchase apples from local orchards, and they are planting new orchards. They use champagne yeast to ensure maximum fermentation. Luxury Self-Catering holiday accommodation, combined with scrumptious apple juice and home-made cider from the heart of South Devon. Varieties such as ‘Pigs Nose’, ‘Pendragon’ and ‘Wellington’ to ‘Slack ma Girdle’ are used from their own orchards. The ‘Special Reserve’, known as ‘The Grimpston Reaper’, is made from the hand pressed vintage cider and aged for at least a further year in old oak rum barrels. When finally racked off, ‘The Reaper’ takes on the appearance of Madeira and has a unique smoothness in taste. This cider is of uncompromising character to be enjoyed, and respected, in equal measure. Another cider is entitled ‘Pigs Snout’. 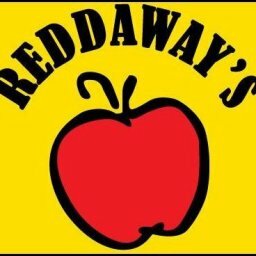 Reddaways is a traditionally made Devon Farmhouse Cider, made from 100% pure apple juice pressed from their own orchards. Cider has been made at the farm for generations, using a blend of traditional apples fermented in oak barrels, to create an award winning product sold both locally and country-wide. Thompstone's Ciders are hand crafted from pure apple juice by natural fermentation and are free from added yeasts or chemicals. Their aim is to produce real Devon ciders with "Quality, Strength and Purity". As a small company they are able to be very hands on in their approach and get the best from fruit which grow in the Holy Brook orchard near Holne on south Dartmoor and lower down in the Dart Valley. Mulled cider is sweet and spiced and sold from Nov-Jan by Riverford Farmshops and the Bay Horse Inn, Totnes. Yarde Cider is a small family business on the edge of the River Dart. All fruit comes from traditional, organic equivalent orchards. Their award winning ciders are dry, or medium, or sweet which they sell in boxes. Their medium is available in bottles, too. They also have a traditional bottle conditioned craft cider, which is unfiltered and naturally dry with a light sparkle, inspired by the French bouche cider of Normandy.